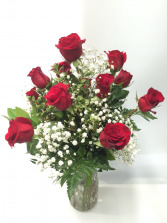 A classic staple arrangement of red roses accented with babies breath and mixed greenery. 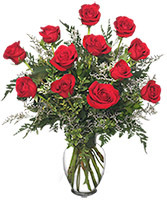 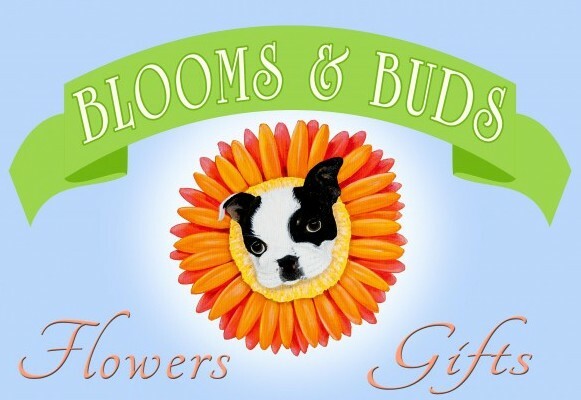 A perfect choice for your special someone, no matter the occasion. 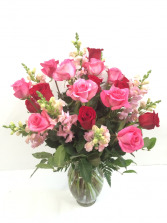 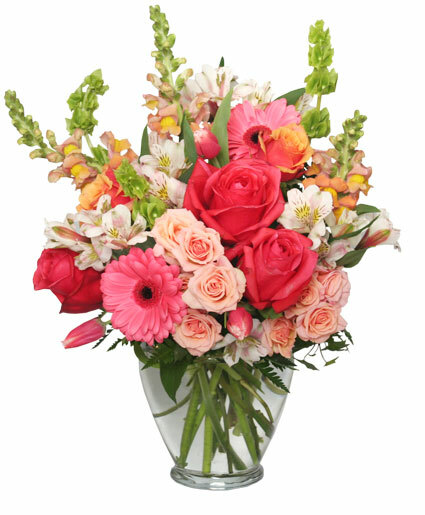 A Dazzling arrangement of red and pink roses accented by beautiful snapdragons and lush greenery.